Adding to your bottom line! That is what Business Litigation is all about. If you have a problem that you have been unable to resolve, you may need an attorney, but not just any attorney. You need a trial attorney that understands that he must add to your bottom line or else he is not serving you! This means determining the issues, analyzing the risks and the rewards, and then discussing the objectives with the business leader to determine what is best for the business! South Carolina business litigation attorney Bruce Miller recognizes the harm of economic losses suffered by businesses or individuals caused by fraud, misrepresentation, or interference with economic and contractual relationships. He has represented both large and small businesses and individuals throughout South Carolina in complex commercial and business tort litigation. His thirty years of corporate, litigation experience can help resolve disputes of many various types. An experienced South Carolina business litigation attorney who is skilled in trying business tort claims and corporate litigation is an essential asset to a complete business strategy. 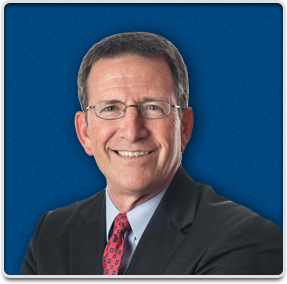 Attorney Bruce Miller is client-centered and is committed to providing legal services of the highest quality for all businesses. Choosing the best attorney for your needs is crucial to your business. He knows that your bottom-line profit is the ultimate goal. Attorney Bruce Miller is a strong advocate for planning and avoidance, offering sound business consulting services to review policies, procedures and agreements in order to identify and correct potential disputes before they develop into costly litigation. After all reasonable methods of resolution have been exhausted and litigation becomes necessary, he offers an aggressive and confident litigation capability that has won the respect of attorneys and clients who have witnessed the trial skills that he brings to the courtroom. Business litigation trial attorney Bruce Miller has successfully represented clients on the broad range of commercial issues that any corporate entity might encounter while doing business in South Carolina. He provides personal attention and clear communication with clients during all phases of a business dispute or lawsuit and offers sound reasoning and solid advice that can reduce or eliminate any negative impact on a client’s business. Business owners and executives are invited to contact attorney Bruce Miller today for a review of their ongoing business and legal needs. 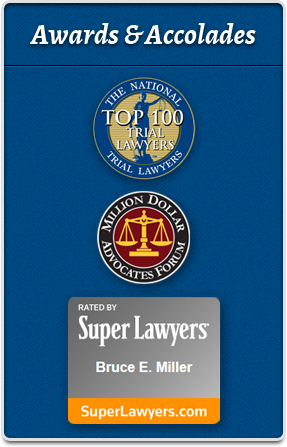 Attorney Bruce Miller is dedicated to providing clients with value-driven legal services. As part of the firm’s commitment to cost-effective representation, a significant emphasis is placed on effective methods of alternative dispute resolution (ADR), including mediation and arbitration. Mediation is required in all federal courts and in most state courts throughout South Carolina before the action can proceed to trial. While arbitration is not required by law, many contracts have mandatory arbitration clauses and also require mediation as a condition to proceeding with binding arbitration. Mediation is an art when done properly. Attorney Bruce Miller is not only an experienced business trial lawyer, but he also is a trained mediator. He utilizes his skills and experience as a mediator to obtain the best results for his client in mediation. While arbitration is not as formal as a trial, your attorney must be thoroughly prepared with an understanding of all relevant case facts and a strong knowledge of case law that is relevant to your dispute. Attorney Bruce Miller has the experience and skills necessary to present your case to arbitrators in a manner that is clear and concise. Have you suffered a breach of contract in South Carolina, or have you been accused of breaching such a contract? Typically, to have a contract in South Carolina and beyond, there must be an offer, acceptance, and consideration for the bargain. A promise to do something or refrain from doing something that the person is already obligated to perform or refrain from performing, does not typically amount to sufficient consideration to form a legally binding contract. While it is often easy to determine whether a breach has occurred, other times it is not so simple, and this is how disputes often arise. Moreover, even if there is a breach, there is often a question regarding whether the aggrieved party has sustained any damages. Attorney Bruce Miller can assist you in evaluation of your case. Attorney Bruce Miller provides advice and guidance to all types of businesses ranging from family owned, small limited liability companies to large corporations. He enjoys the long-term relationships with clients by preventing many problems and carrying them through other complex issues. Although he can fight for the business in the courtroom, his goal is to help any business avoid costly litigation. Our focus on preventing and resolving business disputes helps our clients' bottom-line, which is the goal of any business. With thirty years of experience practicing business law, attorney Bruce Miller knows how to prevent costly litigation and help businesses thrive. He is able to serve business clients with a wide variety of issues, including employment agreements and policies, insurance issues, dispute prevention, and the resolution of business disputes. His goal is to do what is best for the business client. Bruce Miller’s vast experience includes representing owners, general contractors, architects, engineers, sureties, subcontractors, and suppliers, in a wide variety of actions ranging from individual homes to large commercial projects such as Charleston Place. He has also represented real estate developers and home owners associations in multi-family housing with hundreds of units and condominium claims. He can assist in negotiating contracts and can handle all aspects of claims, arbitration, and litigation involving construction issues. He has amassed considerable experience in all areas involving legal issues in the construction industry, particularly in litigating irresolvable disputes and has earned a reputation throughout South Carolina for integrity, professionalism and client service. His goal is to provide prompt, efficient, and goal-oriented representation to his clients, always seeking to protect both their legal interests and the economic viability of specific projects. Acknowledging the economic realities of today’s construction industry, he focuses quickly on identifying the goals of his client by providing cost-effective, legal services to reach those goals, while always remembering it is ultimately the client’s bottom-line that is most important. On a construction project of any complexity, disputes are often the rule - not the exception. Avoidance or a quick resolution of disputes is often crucial to the economic success of the project. In this regard, one point must be stressed at the outset: The key to quick resolution of disputes is the use of systems designed to collect, preserve and organize information, including documents, throughout the project. Project documentation helps all parties avoid disputes and facilitates thorough presentation of claims, effective, alternative dispute resolution measures and litigation. Resolution of construction disputes, including claim preparation, mediation, arbitration, and litigation, is the cornerstone of attorney Bruce Miller’s construction experience. The issue in construction disputes that generally receives the most attention and focus is liability; however, the issue of damages or costs flowing from the events that give rise to liability is no less important. Too often, the issue of calculating costs and proving damages is given a back seat with little precision or scrutiny applied until late in the dispute resolution process. That approach can result in an entirely misguided claim effort missed opportunities for settlement, and loss at trial or arbitration. An early and realistic analysis of damages can help determine whether a claim really exists and the best means of preparing and positioning the claim and the affirmative recovery sought. Attorney Bruce Miller has the experience to prepare and document the case for liability and the damages caused by project events. Insurance coverage disputes in construction defect claims. In addition to a proven record of success in construction litigation, attorney Bruce Miller is respected for his ability to successfully resolve disputes through the time and cost-saving process of alternative dispute resolution (ADR), including mediation and arbitration. Attorney Bruce Miller routinely handles matters involving allegations of defamation, libel, slander, invasion of privacy, and related business tort claims in South Carolina. We represent executives, businesses, individuals, and employees damaged by defamation, libel and slander, and we represent businesses and individuals accused of such conduct. Libel and slander can ruin a business or an individual’s reputation and can cause others to lose their job. It can also cause customers to stop purchasing products or stop using a business’ services. If you are a business owner, your profits may decline and your business may fail. Defamation is not limited to individuals. One business may slander another business or its products or services, or management may defame another company’s products or services. Any business can become involved in a legal dispute. Your choice of a capable, experienced, commercial law attorney can be critical to resolving disputes favorably and as efficiently as possible. Yet, you also need confidence that your lawyer will fight aggressively for your business interests in court when your case so demands. To talk with a business lawyer who will listen and understand and implement your concerns, please contact Charleston-based attorney Bruce Miller. He handles cases throughout the state of South Carolina. We believe in looking and understanding your business dispute case from the outset so we can get a clear sense of what you can realistically expect to achieve. We will fight for your best interest - whether through aggressive negotiations or litigation in a South Carolina courtroom - by preparing the best case possible and using all necessary resources. Bruce Miller is an experienced business lawyer who recognizes that being involved in any commercial dispute can become a costly distraction for you as a business owner. Preparation, negotiation, and business litigation all take time away from your core responsibility - running your business. Where an agreeable settlement can be obtained, we will work toward a prompt, efficient resolution. Equally important, we recognize that trials are necessary in cases where an opposing party will not admit to responsibilities and obligations. Bruce Miller is a South Carolina trial attorney who is able to skillfully represent your business - of any size - against any opposition, including a large corporation. Fraud can ruin a business. Whether the fraud is committed by employees, contractors, or competitors, it siphons off needed profits and can undermine the credibility of the organization. Attorney Bruce Miller helps business clients stop fraud and obtain recovery that can help get a business back on track. Our goal is simple: to protect our clients’ interests from further damage and obtain compensation for their losses. The insurance industry is very large and very powerful. To fight it, you need an attorney who knows how they think. Attorney Bruce Miller worked in the claims department of one of the largest, national insurance companies. Upon becoming a trial lawyer, he defended numerous insurance companies in coverage litigation. Bruce Miller knows how insurance companies think; he knows their strategy in areas of coverage disputes or allegations of bad faith. He wants to use that valuable experience to serve you against the large, powerful insurance companies. An insurance policy is a contract, but it is written by the insurance industry. You need an attorney who understands insurance coverage and who has been in the courtroom with insurance companies. Attorney Bruce Miller will review and analyze your policy to assert all your rights. He will not allow the insurance company to be a bully against you - their policy-holder. We are here to serve you and fight for your rights against the insurance company. Contact us today. A company’s trade secrets may often be its most valuable assets. A trade secret is defined as any valuable business information that is generally unknown and is subject to reasonable efforts by the company to preserve confidentiality. Trade secrets may consist of information or material, including a formula, pattern, compilation, program device, method, technique, or process, that: (1) derives independent economic value from being generally unknown to, and not being readily ascertainable by proper means by, other persons who can obtain economic value from its disclosure or use; and (2) is the subject of efforts that are reasonable under the circumstances to maintain its secrecy. Depending on the circumstances, a list of customers or a protected sales presentation may qualify for trade secret protection. Trade secret misappropriation can be thought of as a type of unfair competition. The owner of a trade secret may be injured by unauthorized disclosure of a trade secret as well as by unauthorized use. Their unauthorized use by third parties could cause irreparable harm. Any conduct by the actor that enables another to learn the trade secret is "disclosure" of the secret. In general, trade secrets will be protected from improper or unlawful use or disclosure by those who obtain access to them through improper means or by those who breach a promise to keep the information confidential. Under the South Carolina Trade Secrets Act, a claim for misappropriation of trade secrets requires a party to prove that (1) it had a trade secret and (2) the opposing party misappropriated the trade secret. A party misappropriates a trade secret when, among other things, it discloses or uses a trade secret of another, without express or implied consent, knowing that at the time of disclosure or use the trade secret was acquired under circumstances giving rise to a duty to maintain its secrecy or limit its use. "Misappropriation," in a general sense means that an individual either took or received information that he knows or had reason to know was a trade secret and there was no permission to obtain it. As a general matter, any exploitation of the trade secret that is likely to result in injury to the trade secret owner or enrichment to the defendant is a "use." The unauthorized use need not extend to every aspect or feature of the trade secret; use of any substantial portion of the secret is sufficient to subject the wrongdoer with liability. South Carolina’s Trade Secrets Act, S.C. Code Sections 39-8-10 to 39-8-130, provides a prevailing plaintiff the right to recover actual damages based on a flexible standard as follows: (1) the actual loss caused by the misappropriation; (2) the unjust enrichment caused by the misappropriation not taking into account the actual loss; or (3) the imposition of a royalty. Double exemplary damages and attorneys’ fees are also available under the Trade Secrets Act. Attorney Bruce Miller has experience representing both businesses and individuals involved in both sides of these types of disputes. For a business, time is very often of the essence. The business may need to conduct an immediate investigation, which should be directed by an attorney, which may lead to the need to file for an immediate Injunction, or court order preserving the status quo of the trade secret. If your business or you are faced with a trade secret misappropriation, contact us today. We will work promptly to secure your rights. Rely on attorney Bruce Miller to protect your business from unfair trade practices. He stands ready to litigate your unfair trade practice claims against rogue companies and individuals who have hurt your business with unfair and deceptive trade practices. For companies and individuals in highly competitive business environments, the disputes you encounter may not fit neatly into a single category. Yet, if you believe that your competitors are using unfair or illegal conduct to gain a competitive advantage, you likely need legal representation. Unfair business practices can take many forms, including price fixing, unfair trade practices, unfair competition policies, technology disputes, antitrust violations, and others. South Carolina’s Unfair Trade Practices Act ("SCUTPA") is set forth at Code Sections 39-5-10 to 39-5-560, and is notable in that it provides a prevailing plaintiff the right to recover treble damages and attorneys’ fees. Unfair trade practices encompass a broad array of torts, all of which involve economic injury brought on by deceptive or wrongful conduct. The legal theories that can be asserted include claims such as trade secret misappropriation, unfair competition, false advertising, palming-off, dilution and disparagement, and may be governed by common law as well as federal and state statutes and regulations. Unfair trade practices can arise in any field of technology and frequently appear in connection with the more traditional intellectual property claims of patent, trademark and copyright infringement. Giving an unrealistically low estimate for a job in order to get it and then charging for a variety of "extras" to increase the price of the job, when those extras should clearly have been included in the regular price of the job. If your business or you are faced with an issue involving any type of Unfair Trade Practice, contact us today so we may seek justice for you.